Please welcome one of our favorite indie pop bands from Canada, the one and only The Holiday Crowd. In a marketplace not short of guitar bands, what makes this Toronto outfit special? For us, it is a fresh approach to '80s-early '90s British guitar pop that combines some of the jangle and sensibilities of The Smiths with a danceable low register groove, a lot more pep and a sunnier outlook. We first featured The Holiday Crowd about four years ago (link). We were impressed with them then, and we think this album is a terrific showcase for their evolution. If you only have time to check out one track, stream "Anything Anything" below. The Holiday Crowd is Imran Haniff, Colin Bowers, Alex Roberts, and John Coman. The Holiday Crowd is out now via Shelflife Records. If you are like me, you wake up some mornings thinking only of pumping up with some tunes from Liverpool's Hooton Tennis Club, and scoring some chocolate. Well, today is our lucky day because Hooton Tennis Club is releasing a Big Box Of Chocolates. Satisfaction of two cravings in one tasty package. What a great world this is! Big Box Of Chocolates is comprised to 12 expertly performed songs that still manage to sound effortless, spontaneous and sincere. It is direct, accessible and loads of fun. The band is known for their up tempo style, but songs such as "Sit Like Ravi" reveal the gentler side of foursome. Thematically, the album ranges over life in their part of the world, enriched by colorfully sketched real and imaginary characters. Both melodically and lyrically, the album is clever without being showy, and provides an energetic, friendly, and melodic brand of rock to which many bands aspire, and few attain. Give this one a chance to get under your skin, and you'll be playing it a long time -- maybe until Hooton Tennis Club releases their next album. Hooton Tennis Club are Ryan Murphy (vocals/guitar), James Madden (vocals/guitar), Callum McFadden (bass) and Harry Chalmers (drums). Big Box Of Chocolates was recorded by the great Edwyn Collins, and is out now via Heavenly Recordings. For their third album, the recently released Friends & Lovers, Argentina's Las Kellies are down one Kelly (former bassist Betty), but Silvina Costa (drums) and Cecilia Kelly (guitar) continue to rock on with their own special brand of garage and psychedelic rock with a bit of dubby new wave, along with new bassist Manuela Ducatenzeiler. 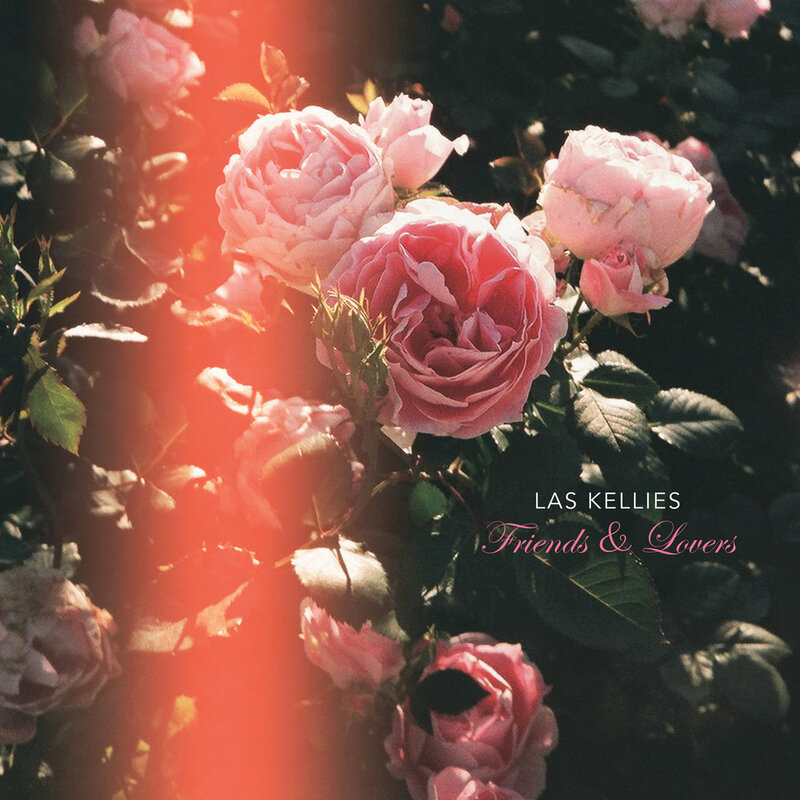 There is less of the latter on this album, but Las Kellies' proficiency and growing confidence make for a satisfying listen in the garage/psychedelic rock groove as well. The band doesn't move to a new plane with this album, but they already were very good, so that would have been a high bar. Long time fans will be pleased, and prospective fans should find a lot to like. If Las Kellies have a special sauce, it is that they understand that the kids want to dance. And the band wants the kids that want to dance to be able to dance. As an example, check out "I'm On Fire" below. Friends & Lovers is out now via Fire Records. Allow me drop this one into your Autumn listening line-up. 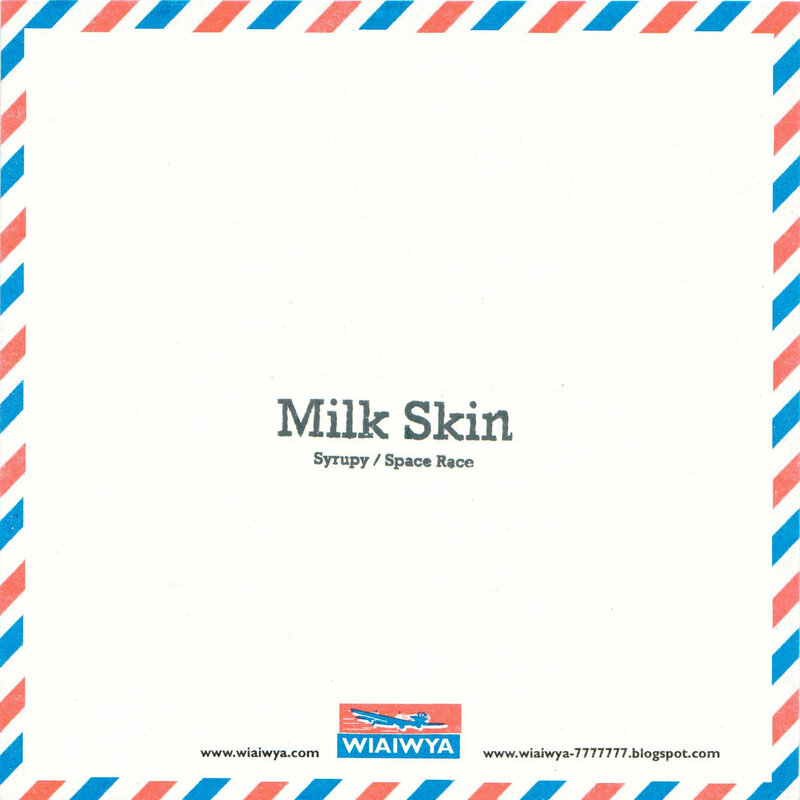 The record is the two song single Syrupy/Space Race by the UK's Milk Skin. The band is comprised of Laura of Tigercats and Tom of Owl & Mouse, with able assistance from Johnny of Wave Pictures, Paul of Allo Darlin. "Syrupy" is a gauzy mix of a sneakily infectious krautrock groove and a tribal form of dream pop, all with a sneaky groove. In its turn, "Space Race" begins as a hazy bit of fuzz folk and then dives into a long Beta Band-style finish. Syrupy/Space Race is available in vinyl and digital formats -- see the Bandcamp link at the bottom of the post. Records like this are one of the reasons we are enthusiastic fans if London lable wiaiwya ("where its at is where you are"). The music scene is awash with singles, many of them quite good, but the wiaiwya-7777777 singles club is the premier boutique purveyor of singles, due to the rarity of the releases, the unique combination of artists, the devotion to the format, and most of all, the freshess and quality of the recordings. Young Australian Holly Rankin has adopted a childhood nickname -- Jack River -- and launched a recording career. We suggest that you make a note of it. Her debut EP, Highway Songs No.2, is modest in length, only seven tracks including an Intro and Outro, but it bursts with talent and wide scope inspiration. Rankin is a rocker on "Palo Alto", a dreamy folky on "Head To Stars", a synth pop star on "Talk Like That" and travels into psychedelia with "Nothing's Going To Hurt You Baby". The songwriting is razor sharp throughout, and Holly is a convincing vocalist in every genre. Highway Songs No.2 is out now via I Oh You in Australia and Hopeless Utopian Records in the United States. The easy observation regarding the music of Jon Rooney, the main man behind Seattle's Virgin of the Birds, is that he is an accomplished tunesmith. And I suppose that alone might be enough to help Jon sell a few copies of his new album. But like many good things in life, there is so much more complexity to this gift to our ears, brain and heart that Jon has named Secret Kids. Jon writes music with layers, and you can take as much or as little as you choose. The initial impression, of course, comes from the melodies. Then you appreciate the adornments -- hooks, a chiming riff, a rock god run, an unleashed bass, a smile inducing bridge -- and those other things that separate an accomplished rock/pop band from your favorite garage band at 2am Saturday morning. 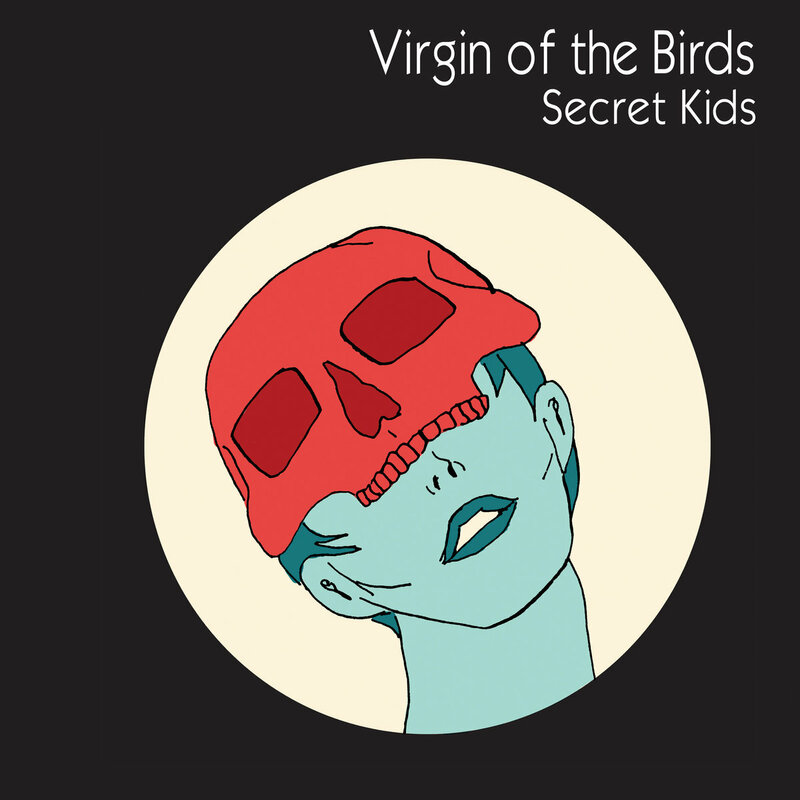 The songs on Secret Kids that impressed me most the first few listens were the up-temp songs "Cardinal Points", "Spooky, Stony, Barely Over Thirty", "Spanish Accusations", "Queen of Sweden", and "Summer Palace" (all of which are on my current, go-to playlist). However, while the charms of the lovely "I Am A Bad Dreamer" or the withering "Victor Bockris" may show themselves more slowly, they are fully formed gems waiting your discovery. How can anyone who has loved not connect with this line from "I Am A Bad Dreamer"? This album is a treasure not to be missed, dear readers. Virgin Of The Birds is out now via Abandoned Love Records in North America and Song By Toad Records in the UK/Europe. Flowers In The Dustbin, the Glasgow label that urges us all to demand genius, is offering another single from The Echo Session. The single is set for a November 25 digital release, which is a long time in the future. But we see no reason not to let you stream its wistful, '60s-shaded delights starting now. We have included a video as well, so you can enjoy a multi-sensory experience. And speaking of the future, the band's album, also titled Wait and See, is expected in 2017. Bandcamp for "Wait and See"
The self-titled album by Aldous Harding, the name under which Lyttelton, New Zealand native Hanna Harding performs and records has long been released in New Zealand, and from time to time in other countries. Now, to coincide with her current tour in North America, it is available in the United States via Flying Nun Records. Harding is a folk singer with the voice of an angel, and a set of gothic stories that belie her young age. Her imagery is direct, but artful, and her evocation of life is harsh, but stoic. Her vocals seek to place Harding in the mold of classic '60s folk singers, but her intriguing compositions straddle the old and the new in breathtaking fashion. Aldous Harding is a terrific album, but even more intriguing is the future promise of an adept songwriter with her vocal talents. Two of my favorite songs are below. Harding's current tour still has nine more US dates, and then she heads to Europe. Check her Facebook page (linked below) for more details.